So we got to hike up to Volcan Acatenango as an overnight trip from San Jose Calderas. Our pals Cory and Brie recommended we check out a trip with a legit local guide family — ASOAVA — as it might be hard to find a flat spot to camp up there without a guide group. Turns out all of the guides (aside from ASOAVA — their limit is 6) bring tons of people up a day and they have their spots all set up on the mountain. We’ve never seen so many people crawling up to 13,045ft at 4am for a sunrise on the summit. 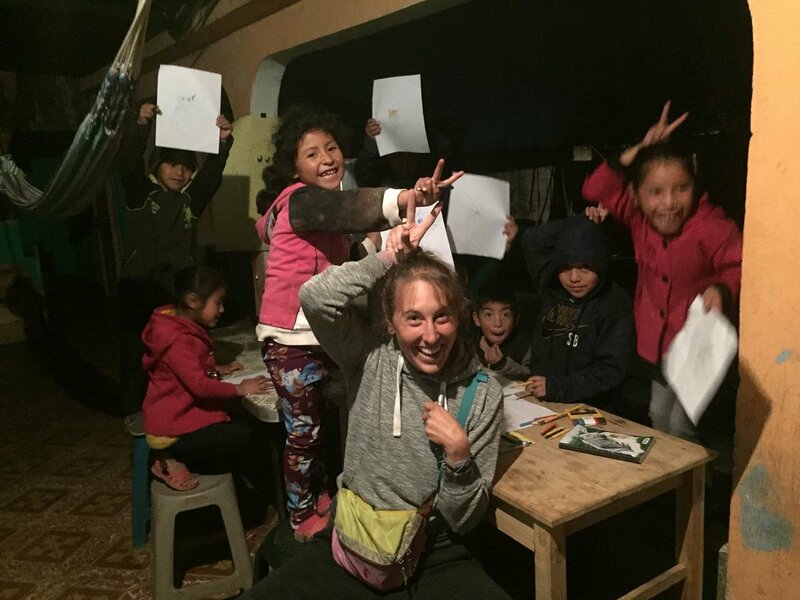 Our experience with Catalino and his family started out with a random bit of community enrichment as Candice shared her artistic abilities and teaching talent and they shared their home and food with us. As we got to Catalino’s house, after a super rowdy drive straight up mountains pretty much all day, he was still a couple hours away, and we were greeted by his super friendly children and his wife and other family that lived in the same area. The kids were amazingly outgoing and wanted to carry anything they could for us — little did we know we’d repay their kindness with piggy back rides soon enough! Candice quickly asked a couple of the little girls if they like to draw, and not three seconds later we were surround by 9 kids between age 4 and 10 instead of the two we were originally talking to. They were stoked, and not too shy to yell about it in their excitement. We grabbed the paper and art supplies out of the van and Candice proceeded to give a bi-lingual drawing lesson “como se dice (then she would point to her nose) nariz en ingles?” And then the times we were both stumped with a part of the anatomy (eyebrows/whiskers), we’d ask the kids then tell them in English as well. A very similar theme to the drawing Candice had done in San Juan La Laguna, but on a much more personal, almost one-to-one level. 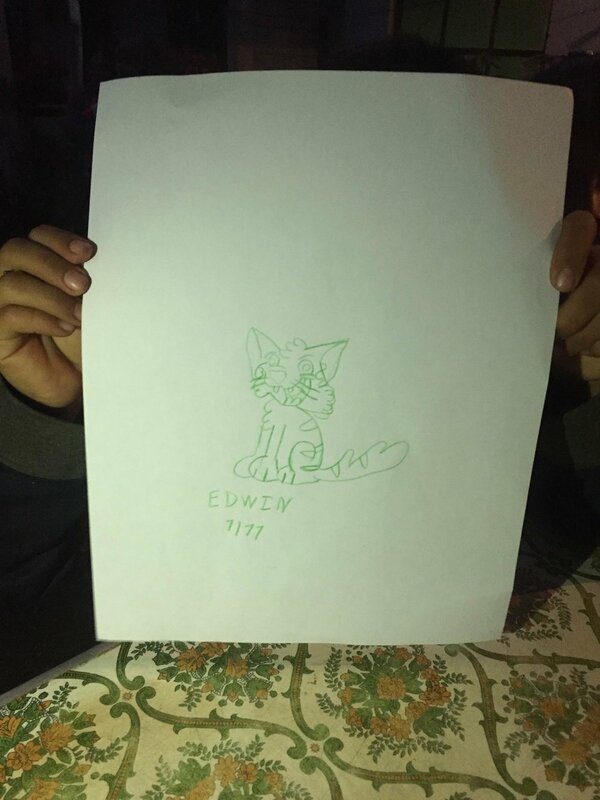 After she drew a perro, gato, and conejo, she opened up the floor for requests and quickly sketched several more animals on a large sheet of paper. 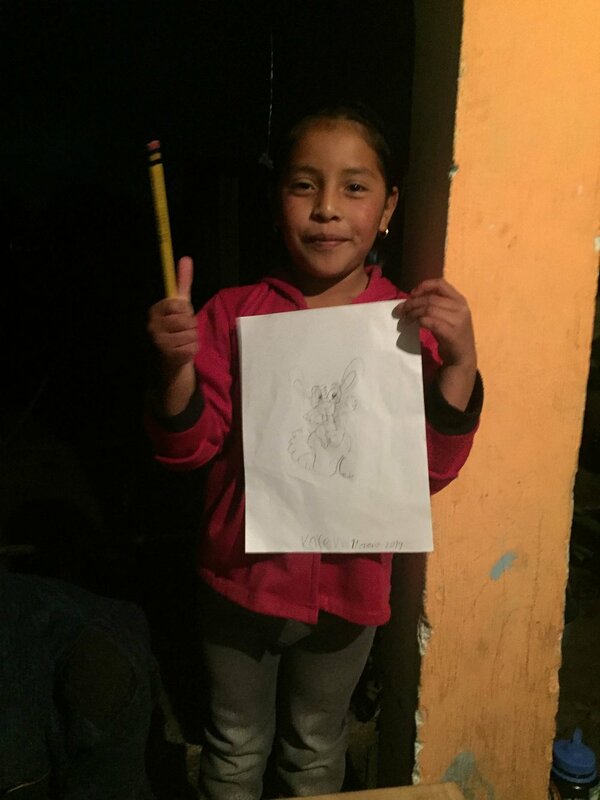 She then instructed the kids that they have to color the drawings in to bring them to life. 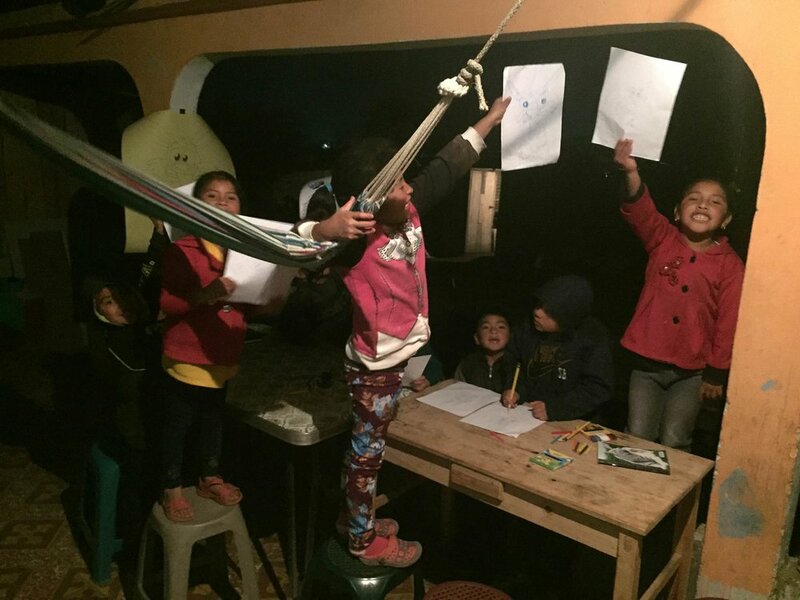 The rest of the evening was filled with great conversation over a wonderful dinner prepared by Catalino’s wife, sat around the table with his family (Jordan and little Karen coloring a cat) before heading back to the van (piggy-backing little kiddos of course) to settle in for the night before the hike up Acatenango the next aftermorning. This was probably one of the most fun and fulfilling experiences of our trip so far, and we couldn’t thank Catalino and his family enough for welcoming us into their lives.